Removing graffiti quickly and effectively is crucial because doing so acts as a deterrent to other graffiti vandals. As can be seen throughout Adelaide, graffiti rarely occurs as a one-off; rather, once one vandal has made their mark on a building, and that graffiti isn’t promptly and effectively removed, others are encouraged likewise to deface the same area, on the basis that their work will remain untouched. 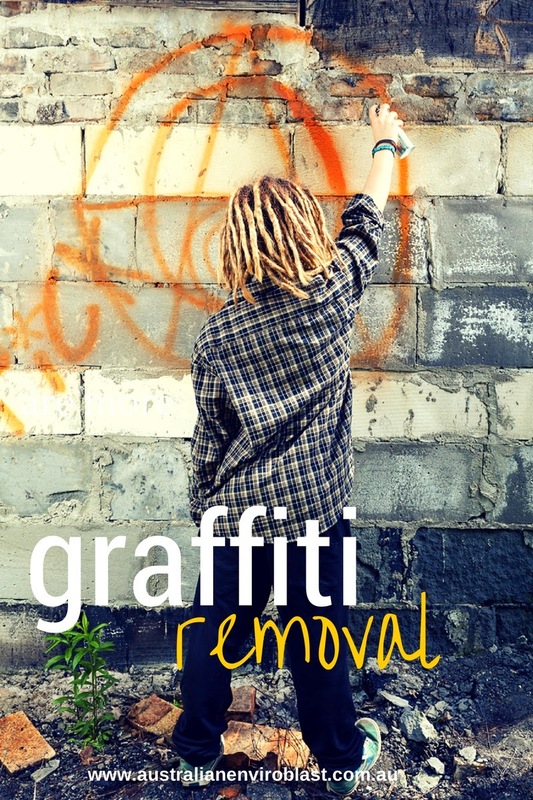 Therefore, the quick, efficient and effective removal of graffiti is vital, not only to remove vandals’ work, but just as importantly to discourage others from joining in. The paints, texta pens, felt-tip pens and other materials used by graffiti vandals can, if unattended to, cause log-lasting and destructive damage to buildings and other structures. This is because heritage stones (such as sandstone, bluestone and limestone), brickwork, masonry and rendering absorb paint, and it can therefore penetrate deep into the structure. Ultimately, this can compromise the integrity of the stone or brick, leading to crumbling and erosion, and this can in turn lead to increased incidents of rising damp and salt deposits. Therefore, getting graffiti removed quickly and efficiently is not important just for the public face of a building; it is also vital to ensuring its longevity and structural soundness. With a fleet of mobile equipment, +Australian Enviroblast is able to carry out wet abrasive blasting graffiti removal in a variety of locations and on all kinds of structures and surfaces. We use the the Quill Falcon Precision Dustless Kwikblast® System, which is extremely safe and requires no encapsulation, meaning that other work can be carried out at the same time, saving both time and money. To learn more about our graffiti removal services, please visit our website or email us with your questions.